Ah Pt. Roberts, how I love thee. A hacked-off portion of the Tsawwassen peninsula belonging to the USA which serves as a great place to ship things and to get gas. Armed with my Nexus and reciepts (don't forget these! ), I made my way over to pick up my latest purchases. But wait, I couldn't do that without making a pitstop at Chill and Bubbly's place first. Why? Well, let's just say if I didn't drop off my photo gear, laptop and iPad, I would have a lot of explaining to do if I was searched. 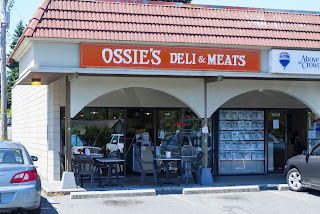 As I was leaving, I mentioned to Bubbly that I was heading over to Ossie's Deli (on a recommendation from a reader) for some lunch. She left Chill with the kids to join me for some sandwiches (sounds familiar...). 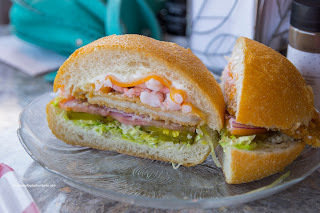 Anyways, I decided to have something different and went for their Schnitzel Oscar "Burger" with shrimp, lettuce, tomato, pickles, onions and cheese. For a sandwich consisting of premade main ingredients, it was pretty enjoyable. The pounded pork schnitzel was a bit dry (but not tough) and naturally lacking a bit in crispiness while the shrimp were typical. 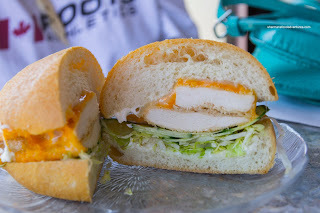 However, combined together on a soft, yet not dense bun, it was solid sandwich considering the venue and price point ($6.75). 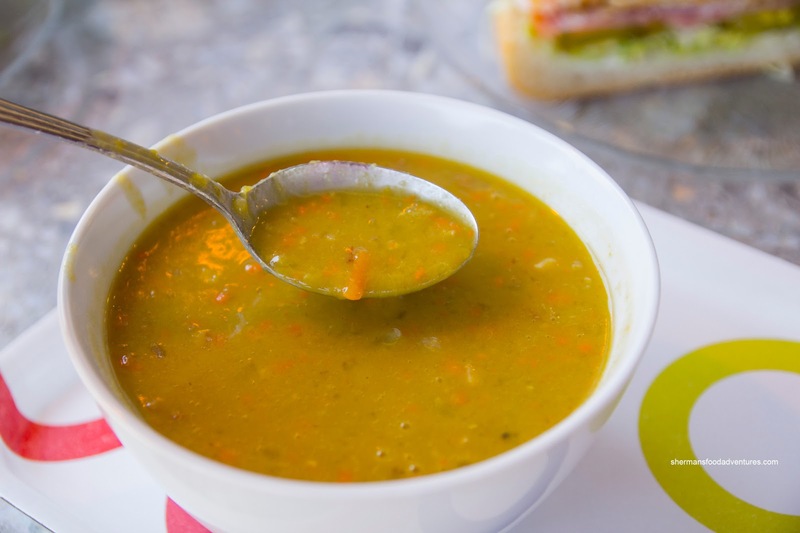 On the side, I had a bowl of Split Pea Soup ($4.25) which was pleasingly hot (temperature-wise). It was smooth with little bits of onion, peas, ham and carrots. It was very mild in flavour where I could taste some of the individual components. Bubbly had what she usually orders at Ossie's being the Chicken Burger. It was constructed of 2 breaded chicken breasts with melted cheddar and veggies. Again, for premade ingredients, the chicken was more than acceptable and not dry. I decided to grab one more item to go being the Rueben. 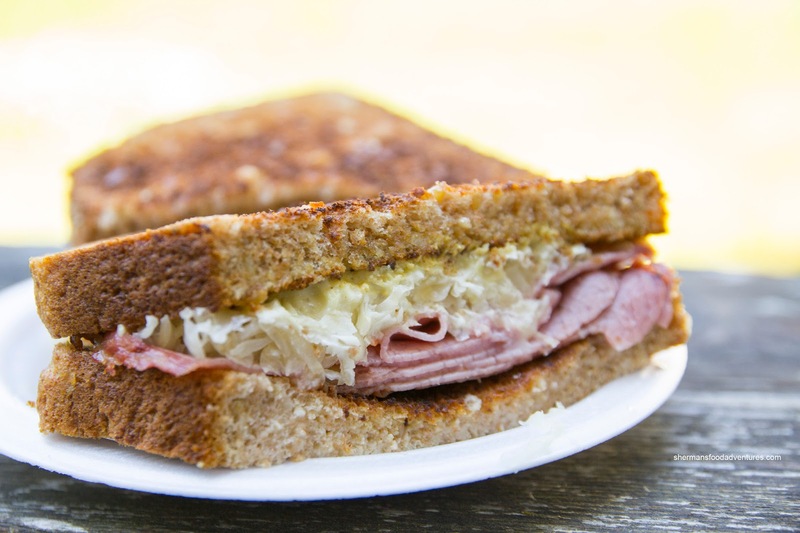 It was made with the usual ingredients including corned beef, sauerkraut and mustard. Again, nothing life-changing, but solid nonetheless with crunchy bread, plenty of Dijon and a decent amount of ingredients. 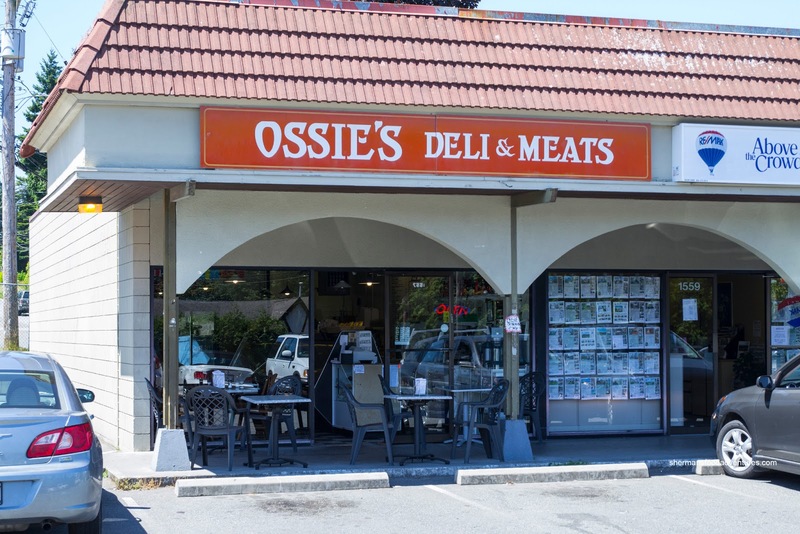 As you can clearly ascertain, Ossie's is a humble little deli in Tsawwassen. They serve up honest food for a reasonable price. Works for me.